Well before 1800, European intellectuals embraced an unbiblical prehistory. 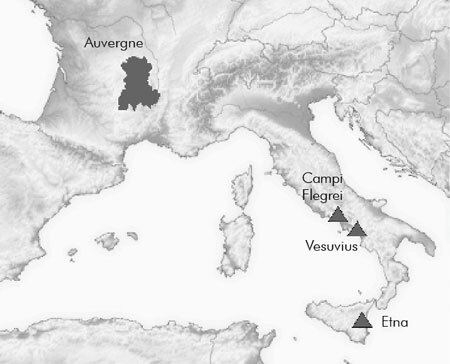 One of the three major arguments advanced to support this prehistory was the time needed to construct Vesuvius, Etna, and other volcanic terrains, relative to the size of observed eruptions. Proponents of this argument assumed a constant rate of volcanism through time and extrapolated from small eruptions that were not representative of global volcanic activity. They also were unaware of examples demonstrating much higher rates of volcanism in the past. Although modern geologists acknowledge these shortcomings, they do not appear to grasp their evidentiary impact. If modern examples and those from the rock record support rapid rates of volcanism, contrary to the vast prehistory of Enlightenment imagination, then the original argument is invalid. Thus, since prehistory was never later questioned, it must either be an assumption or the product of circular reasoning. Figure 1. The rediscovery of Pompeii in 1738 stirred interest in volcanoes. Mount Etna in Sicily and Mount Vesuvius near Naples were the two largest, most accessible active volcanoes in Europe and the subjects of intense interest by naturalists of the late 1700s. The inactive volcanic cones, flows, and beds of Auvergne were the primary locale for naturalists interested in volcanics from the mid-1700s through the early 1800s. Evidentiary logic demands that a conclusion be abandoned if its original evidence is invalid. New arguments can be made for the same proposition, but if the original faulty conclusion is assumed in that argument, then the reasoning becomes circular. Like a courtroom appeal of an old case, the first verdict is set aside and the case is retried. Deep time was affirmed initially based on faulty evidence, and was never subsequently ‘retried’. Once early naturalists claimed to have proven prehistory, they never looked back. New evidence was added after the fact, but no-one ever seriously attempted to reassess the original conclusion. Thus, deep time—the foundation for secular natural history—is either a faith tenet or the product of circular reasoning. Radiometric dating, magnetostratigraphy, biostratigraphy, and similar modern methods were never used to evaluate deep time, but only to ‘confirm’ what everyone already ‘knew’. The original argument for an old Earth, and subsequent rejection of Genesis, included three primary lines of evidence offered during the second half of the 1700s. These included the time needed for valley formation, for the construction of volcanoes, and for the accumulation of the sedimentary record.1 The argument from valley erosion is invalid.2 If the same is true of the arguments from volcanism and the sedimentary record, then it is not unreasonable for us to conclude that prehistory was an axiom flowing from anti-Christian bias. This paper will address the second argument—the time demanded by the gradual accumulation of lava and ash. Using rates observed at eruptions of Vesuvius and Etna, 18th century naturalists argued for lengthy periods of time to build those mountains and to create larger volcanic terrains, like Auvergne and Campi Flegrei. A few preliminary clarifications are needed. First, there was no great struggle between secular naturalists and the church. Even self-described Christian intellectuals that defended the Flood were convinced Earth was old. Second, our present conception of geology is anachronistic to the late 1700s. Though ‘geology’ was introduced as a term in 1778, it had a different meaning. Earth sciences included three categories: natural history, natural philosophy, and geotheory.3 Studies of volcanoes fell under natural history and natural philosophy. Broader speculation was the role of geotheory—an attempt to explain Earth as Newton had the secrets of light and gravity. The works of Buffon and Hutton4 were examples of geotheory. A survey of some of the leading naturalists studying volcanoes and volcanic terrains at this time illustrates a remarkable bias towards an old Earth that was brought to the evidence. In other words, I will argue that these naturalists had already decided that Earth was ancient, and that this position drove their study of physical phenomena. Figure 3. Vesuvius erupting, December 1760–January 1761. From Hamilton (1776, plates X and XII), from Meyer-Roux (2010). Since Hamilton adduced a great age for Vesuvius, it is clear that he rejected biblical history. In Rudwick’s14 discussion, there is never any indication that he considered the merits of the biblical chronology. Expecting deep time, he saw it by extrapolating eruptions he observed across time. His flawed logic and bias is seen in his hasty conclusion that the presence of volcanic rocks beneath Pompeii disproved the Bible. Brydone was no objective empiricist; his attitude was clearly anti-Christian. Evidence from Etna was not carefully considered; deep time was simply taken for granted (using the gradualist assumption that long predated Lyell). Brydone had no way of knowing how old the volcano was. 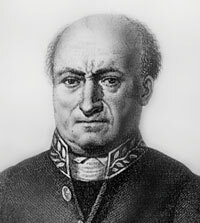 His bias was shown in his attack on naturalist/priest Giuseppe Recupero (1720–1778). Note the admission that an extended timescale was ‘taken for granted’ by savants, and Rudwick’s own bias is seen in his characterization of Sicily as ‘benighted’. Sir William Hamilton was the acknowledged expert on the volcanoes of southern Italy and Sicily, although local naturalists such as Recupero were more familiar with their home turf. Hamilton argued for an old Earth from these active volcanoes, but that case was also being argued from study of the extinct volcanic terrain in the region of Auvergne. It became a crucial field area, influencing Scrope, Buckland, Murchison, and Lyell. Figure 4. Nicolas Desmarest, a physical geographer who investigated the volcanoes of Auvergne in Southern France in the mid 1700s. 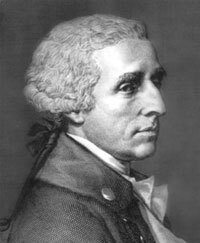 Rudwick called Nicolas Desmarest (figure 4) “one of the most distinguished physical geographers of his generation”.18 He made his mark in 1751, when he published an article arguing for an ancient connection between England and France. In 1763, he surveyed the volcanoes of Auvergne, noting the similarity between their basalt and that of the Devil’s Causeway in Ireland (figure 5), which he had seen in Susanna Drury’s (1739) painting published in the Encyclopédie in 1765. Desmarest set off to study the `area with cartographic engineer Francois Pasumot (1733–1804). 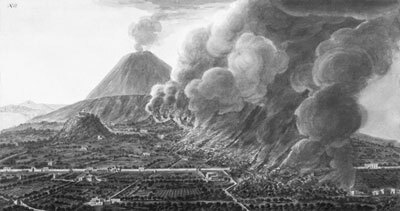 While Pasumot continued mapping and collaborated in the geological field work,20 Desmarest travelled to Italy in 1765, and saw Vesuvius, which had erupted in 1764. Figure 5. 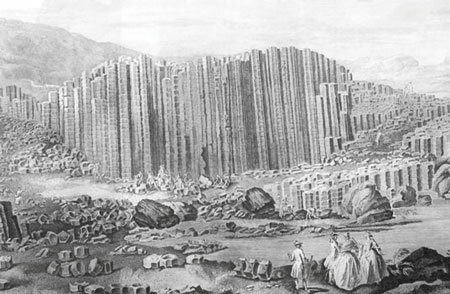 Engraving of Susanna Drury’s 1739 painting of the Devil’s Causeway in Ireland, showing columnar or ‘prismatic’ basalt. Desmarest’s map influenced naturalists for decades; when Lyell and Murchison visited Auvergne in 1828, they used it to find the best exposures. Jean-Louis Soulavie (1752–1813) was a French priest and amateur naturalist. He served the parish in Antraigues, near the volcanic exposures in Vivarais. His rapid rise to prominence in Paris from a rural clerical background showed Soulavie to be a brilliant naturalist. Soulavie sought a three-dimensional understanding of the strata26 to deduce six epochs based on lithological correlations. For example, he noted that a prismatic basalt flow overlaid a gravel conglomerate with basalt pebbles. The flow was one epoch, the deposition of the gravel, another, and the basalt clasts in the gravel indicated a previous volcanic epoch. Figure 6. 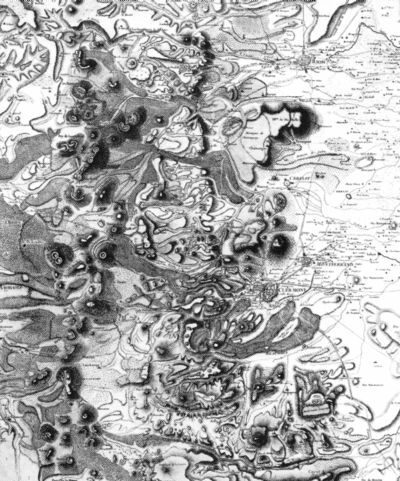 Part of Nicolas Desmarest’s map of Auvergne, showing details of volcanic cones, flows, and eroded topography. Soulavie’s work, which Rudwick noted had ‘the highest credentials’,29 was remarkably prescient to modern stratigraphy, complete with two fundamental errors. First, he assumed the distinct rock bodies represented distinct periods of time, and second, he attributed vast eons to those periods by virtue of a pre-Lyellian gradualism. It is interesting to note his distortion of Christian chronology. He styled himself as ‘nature’s erudite historian’ and talked of the ‘annals of the physical world’, a likely reference to Ussher’s work of the past century. In other words, he saw the key to interpreting the rocks was to determine their chronology and from that build a natural history in the modern sense; a history of course that preceded humans and extended far back beyond their historical records. Figure 7. Epochs of Vivarais region based on work of Jean-Louis Soulavie (1780). Following Desmarest, Montlosier divided the volcanics into the recent cones and flows in the valleys and ancient eroded flows capping plateaus and hills. Like Desmarest, he used the current rate of erosion to estimate their age. A good observer, he noted the historical significance of a stream that had been redirected by a recent flow, carving a new valley and leaving a ponded lake behind the lava dam in the old valley. Though other geologists would use that two-fold division to argue for a deluge separating the two, Montlosier saw it as a continuous process (erosion) interrupted by sporadic eruptions. He referred to prehistory as an ‘infinity of ages’. Montlosier remained in Auvergne, and later became a valuable local resource for Scrope in the early 1820s and for Murchison and Lyell in 1828. Figure 8. Cross section from Scrope37 of basalt flows (black) from Puy de Dôme (right) down towards the valley of the River Allier. View is to the south; flows moved east off of Puy de Dôme. Scrope assumed each flow represented long periods of time. Ironically, his criticism is easily applied to gradualistic uniformitarianism. Scrope followed the popular idea of a directional geohistory, based on the gradual cooling of Earth. Volcanism, he presumed, had probably been more intense in the deep past, yet he was not able to apply that idea to his own fieldwork. Rudwick36 noted that Scrope was “economical with his acknowledgements of his predecessors”, especially Desmarest, whose map had been published just a few years earlier by his son. Scrope’s map was substantively similar, yet published in colour, and thus more appealing than Desmarest’s. Whether from personal ego or post-war British pride, the French contribution to Auvergne’s geology was minimized. Scrope was a gradualist; he argued that observable causes acting over immense periods of time were adequate to explain Auvergne’s geology; there had been no deluges. Scrope clearly had no problem with that. He thus repackaged geotheory as ‘geohistory’, a rhetorical move worthy of his training. But Lyell was already committing two major errors: (1) a naïve confidence that field data alone would reveal history, and (2) that Newton’s method of actual causes applied to the past. That led him to conflate physico-chemical and geological uniformity, allowing him later to dismiss catastrophic actualists as ‘unscientific’. Reed40 notes that his confusion over actualism was perpetuated for 150 years, during which time no geologist ever demonstrated an univocal correspondence between uniformity and actualism! In other words, a bias towards a lengthy prehistory, accessible only to scientific investigation was ingrained into Lyell, guiding his interpretation of field data. Lyell completed his tour and returned to England, where he quickly finished the first volume of Principles of Geology, which was released in 1830. By the time of Lyell’s Principles, geologists were convinced that volcanoes and volcanic terrains were concrete evidence of prehistory. However, their arguments were flawed, typically by unwarranted extrapolation from limited evidence. Logical errors arose from an inability to differentiate between assumptions and data, and gradualism was a major presuppositional error. Although Lyell is credited with this doctrine, it was common to many naturalists, including Scrope, Soulavie, Montlosier, Desmarest, and Hamilton. All were convinced by the scale of observed flows from Etna and Vesuvius that vast ages were needed to build those cones. Gradualism was implicit. None considered changing rates through time. The paucity of actual evidence gave free rein to subjectivity, leading to absurd errors, such as Hamilton’s dismissal of biblical history based on the presence of volcanic rock beneath Pompeii and Herculaneum. Valid explanations of that rock were certainly possible within biblical time, but were never considered. Modern knowledge of volcanoes and volcanism clarifies the errors of these early volcanologists. Ironically, it is geological actualism that militates against their argument. Observations of modern volcanoes and their ancient products argue against their conclusions. The most common argument for time was based on the scale of flows they observed—a few eruptions of Vesuvius and Etna. Modern eruptions and flows demonstrate great variety in the strength of eruptions and the volume of material ejected (figures 9 and 10). For comparison sake, I made a rough calculation of the volumes of the both Vesuvius and Etna. For the former, using a base radius of 9 km, a cone 700 m across, and a height of 1,281 m, Vesuvius is roughly 118 km3 . Etna, with a 140-km circumference and a height of 3,329 m, yields a volume of 1,731 km3 . For comparison, the volume of Mt Kilauea, in Hawaii, is about 30,000 km3 .45 Recent eruptions vary greatly in the amount of material ejected (figure 9). The total volume of Vesuvius is only 36 times the material released in the AD 79 eruption and significantly less than that released by Tambora. These modern observations alone invalidate the argument for time by the early savants. Past eruptions, based on the extent of preserved ash and lava beds, were much greater—typical of the supervolcanoes at the bottom of figure 9. Compared to these, the 1764 eruption of Vesuvius studied by Hamilton was insignificant. A common scale used to compare eruptions is the Volcanic Explosivity Index (VEI). Ranging from 0–8, it uses ejecta volume, chemistry, duration, and the height of the column into the atmosphere. The AD 79 eruption of Vesuvius rated a 5, and the 1815 Tambora eruption, a 7. No eruption dated to the past 10,000 years has been rated the maximum of 8.46 Figure 10 rates recent major eruptions by this scale, showing the volume of lava and tephra released. Not only were the savants wrong about the magnitude of modern eruptions, but they had not studied a sufficient number of historical examples to learn that ancient eruptions were often much larger than those shown in figures 9 and 10. This is perfectly consistent with biblical history; larger eruptions would be expected during the onset and mid-to-late-Flood tectonic reorganization of the crust to accommodate the receding waters. Scientists have documented a number of ‘super eruptions’, including Toba, in Indonesia, which released nearly 3,000 km3 of material, approximately twice the volume of Mt Etna.47 An eruption at Fish Canyon in southwest Colorado, dated 28 million years ago, released about 5,000 km3 of material.48 The Yellowstone Caldera has been the site of three super eruptions, dated within the past 2 million years, each releasing more than 1,000 km3 .49 All of these dwarf any historical eruption, most more than an order of magnitude greater than Tambora. In contrast, the 1764 eruption of Vesuvius documented by Hamilton released 0.01 km3 of lava of 0.001 km3 of tephra—five orders of magnitude smaller than the super eruptions. Reed used physical data to constrain basalt flows at the North American Midcontinent Rift System.55 The first time constraint is the time of ascent of the magma through the crust. Rates of up to 2 m/s have been documented for basalt flows, and even hydrous rhyolite has been shown to ascend at 1 m/s.56 Even through thick continental crust, this translates into only a few hours. The next component is the actual eruption rate. The single most important factor is the size of the vent. It is estimated that 4-m-wide vents reaching 100 km in length would have erupted basalt at rates of 30,000 kg/sec/m length of the vent.57 Reed estimated that the 1,000,000 km3 of basalt at the Midcontinent Rift System could have been emplaced in forty days through one vent 10 m wide and 25 km long.55 Of course, the documented vent system around the rift is much larger and so the actual time of emplacement could have been as little as a few days. Figure 10. Table showing some of the largest eruptions in human history. These vary significantly in size, and from those observed by the early savants. For example, the eruptions seen by Hamilton at Vesuvius were more than 2 orders of magnitude smaller than the AD 79 eruption. Geologists ignore these physical factors because they date the duration of flows radiometrically. Reed demonstrated that the results of this type of dating at the Midcontinent Rift System grossly overestimated the time of emplacement. 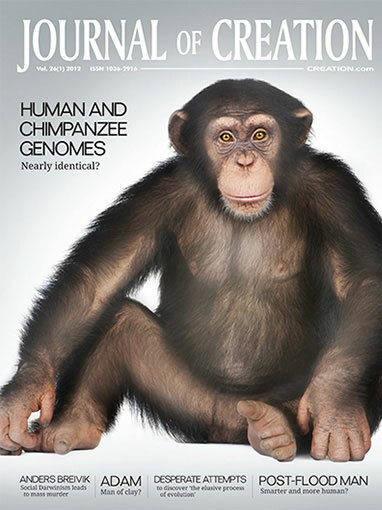 It would not be surprising if the same errors are present in dating larger LIPs, like the Ontong Java Plateau. In any case, it is clear that the argument of the 18th and early 19th century savants, from Desmarest to Lyell, was wrong, being based on insufficient data. They assumed gradualism rather than demonstrating it. And their actualistic method invalidates their conclusions. There are only two specific arguments that retain a shred of evidentiary value, though both are inconclusive. The first is Recupero’s observation of multiple stacked flows at Mt Etna with weathered horizons. The second is the time needed for the present configuration of basalt flows, interbedded sediments, and eroded valleys at Auvergne, as argued forcefully by Scrope and Lyell. The presence of multiple stacked flows per se is not an issue of time. Under Lake Superior, the thickest part of the Midcontinent Rift System, there are probably 500–750 individual flows, many stacked on each other.55 Given the eruption rates, they would likely have formed within days. Recupero’s argument, however, was based on the weathering of the tops of flows. Rudwick notes that the argument is bolstered by observed flows at Etna that had not begun to weather, even after a century.58 However, the timing of weathering must not be too great; the region is known for its rich soils. The interpretation by Recupero and Brydone depended on several factors: (1) that the fossil soil horizons were really soils, (2) that weathering rates could be applied in a gradualist fashion, and (3) that conditions conducive to weathering were constant. Woodmorappe and Oard54 saw similar weathered horizons in some of the Columbia River Basalts. They noted that these horizons might be hydrothermal, not true paleosols. Investigation of these flows at Mt Etna would be an interesting research project, but the Recupero interpretation remains one of several explanations. Klevberg et al. 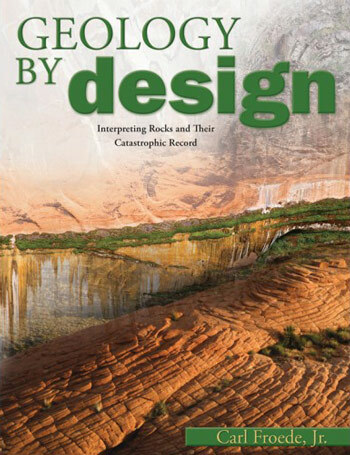 noted that paleosols are frequently misidentified in the rock record.59 The argument from Auvergne, advanced by a number of naturalists, but most forcefully by Scrope and Lyell, was that the flows, sediments, and erosion demanded long ages of time. Reed2 has shown that the argument from valley erosion is flawed, and sedimentary units with interbedded basalt flows are common features throughout the rock record. The length of time required for their emplacement is primarily a function of volcanic and hydraulic properties, not time. The second major argument for deep time in the early days of geology was that the rate of accumulation of volcanoes from observed eruptions was too slow to accommodate the biblical timeframe. That argument is falsified by observation; both of modern eruptions and of the physical parameters of ancient eruptions and LIPs. Hamilton’s argument from volcanic rocks beneath Pompeii is absurd on its face, although it does serve to illustrate the bias of the Enlightenment intellectuals. 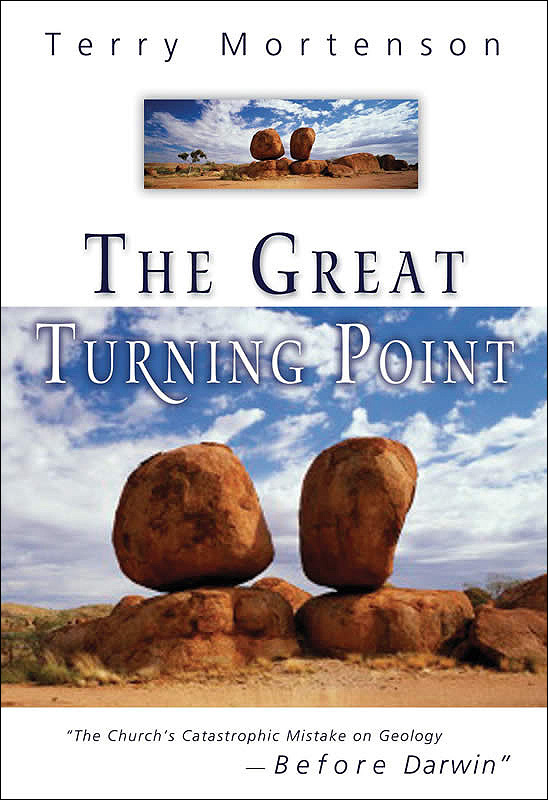 The argument that the terrain of Auvergne demanded great time depends on the assumption of gradualism, which has since been rejected by many secular geologists. Recupero’s argument of weathered flow surfaces at Mt Etna was the only feasible argument made, but is inconclusive based on the possibility of the ‘weathered’ surfaces being caused by contemporaneous hydrothermal processes. Ironically, the actualistic method advocated by these savants is the basis for invalidating their conclusions about deep time. Nearly two centuries of observation since Lyell have brought out new knowledge of eruptions and volcanism, showing scales dwarfing the small flows at Etna and Vesuvius. Furthermore, solid empirical data document the much larger scale of volcanism in the past; another case of actualism contradicting Lyell’s steady-state vision of earth history. Of the three major arguments for deep time advanced in the crucial years of the late 1700s, the first two—time needed for valley erosion and time needed to accrete volcanoes and volcanic terrains—have failed. The final argument is the time needed to accumulate the sedimentary rock record, and that will be the topic of the final paper in this series. If it is also false, then prehistory and its timescale will be shown to be something other than empirical conclusions; they are either beliefs stemming from Enlightenment secularism or the products of circular reasoning. Rudwick, M.J.S., Bursting the Limits of Time: The Reconstruction of Geohistory in the Age of Revolution, University of Chicago Press, Chicago, IL, 2005. 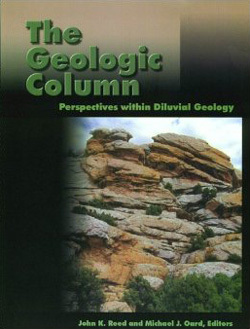 Compared to histories of geohistory by Gould, Gohau, Faul, Laudan, and Oldroyd, Rudwick provides more detailed and referenced information. Multiplying references would serve only to show familiarity with the literature. Return to text. Reed, J.K., Three early arguments for deep time—part 1: time needed to erode valleys, J. Creation 25(2):83–91, 2011. Return to text. For more information, see Reed, ref. 2, and Reed, J.K. and Klevberg, P., ‘Geotheory’: past and present, CRSQ 48(1):20–32, 2011. Return to text. Reed, J.K., Modern geohistory: an assault on Christianity, not an innovative compromise, CRSQ 46(3):201–216, 2010. Return to text. Rudwick’s term for the intellectual elite of the day. Return to text. Rudwick, ref. 1, p. 119. Return to text. More information on Vesuvius and its history can be found at www.volcano.si.edu/world/volcano.cfm?vnum=0101-02=&volpage=erupt, as at 15 January 2011. Return to text. Hamilton, W., Campi Phlegraei: Observations on the volcanoes of the Two Sicilies, as they have been communicated to the Royal Society of London, Naples, Italy, 1776. Return to text. Meyer-Roux, K. Volcano observer: Sir William Hamilton and Mount Vesuvius, Getty Research Institute, 30 April 2010; blogs.getty.edu/iris/volcano-observer-sir-william-hamilton-and-mount-vesuvius/, as at 20 December 2011. Return to text. This includes Vesuvius and the remains of the Somma caldera, measuring on Google Earth across the mountain using the 500-ft elevation contour as the base. Return to text. Facts on Vesuvius from Ball, J., Mount Vesuvius—Italy, geology.com/volcanoes/vesuvius, as at January 2011. Return to text. Rudwick, ref. 1, p. 120. Return to text. Hamilton, ref. 8, p. 7, from ccdl.libraries.claremont.edu/cdm4/browse.php?CISOROOT=/cpo, as at December 2011. Return to text. Rudwick, M.J.S. Worlds Before Adam: The Reconstruction of Geohistory in the Age of Reform, University of Chicago Press, Chicago, IL, 2008. Return to text. Rudwick, ref. 14, p. 97. Return to text. Hamilton, ref. 8, p. 43. Return to text. Rudwick, ref. 1, p. 121. Return to text. Rudwick, ref. 1, p. 203. Return to text. Rudwick, ref. 1, p. 204. Return to text. Taylor, K.L., New light on geological mapping in Auvergne during the Eighteenth Century: the Pasumot–Desmarest collaboration, Revue d’histoire des sciences 47(1):129–136, 1994. Return to text. Gohau, G., A History of Geology, Rutgers University Press, New Brunswick, 1990. Return to text. Laudan, R., From Mineralogy to Geology: The Foundations of a Science, 1650–1830, University of Chicago Press, Chicago, IL, 1987. Return to text. Desmarest, N., Mémoire sur l’origine et la nature du Basalte à grandes colonnes polygones, determinées par l’Histoire Naturelle de cette pierre, observée en Auvergne. Histoire de l’Académie royale des Sciences, Année MDCCLXXI, Avec les Mémoires de Mathématique & de Physique, Paris, De l’Imprimerie Royale, 1774. Return to text. Laudan, R. From Mineralogy to Geology, University of Chicago Press, Chicago, 1987. Return to text. Rudwick, ref. 1, p. 212. Return to text. Rudwick, ref. 14, noted that although Soulavie did not call what he was doing ‘geognosy’, that was his method. It was more similar to modern stratigraphy than to the physical geography of his day. Return to text. Soulavie, J.-L., La géographie de la nature, ou distribution naturelle des trios règnes sur la terre: description d’une carte du Vivarais, dressée en relief, ou cette distribution est enluminée selon la nature du sol & les variétés des êtres organisés: méthode pour render par des reliefs la forme du sol d’une Province dont on écrit l’Histoire Naturelle, pour l’enluminer selon la nature du terrain. Observations sur la Physique 16:63–73, 1780. Return to text. Rudwick, ref. 1, p. 217. Return to text. Rudwick, ref. 1, p. 222. Return to text. Rudwick, ref. 1, p. 218. Return to text. Montlosier, F.-D., Essai sur la théorie des volcans d’Auvergne, Paris, 1789. Return to text. Montlosier, ref. 31, p. iv, as cited by Rudwick, ref. 1, p. 301. Return to text. Rudwick, ref. 14, p. 127. Return to text. Rudwick, ref. 14, p. 128. Return to text. Rudwick, ref. 14, p. 209. Return to text. Rudwick, ref. 14, p. 210. Return to text. Scrope, G.P., Memoir on the geology of Central France, including the volcanic formations of Auvergne, the Velay, and the Vivarais, London, 1827. Return to text. Rudwick, ref. 14, pp. 215, 216. Return to text. Rudwick, ref. 14, p. 254. Return to text. Reed, J.K., Battlegrounds of natural history, part II: actualism, CRSQ, in press, 2012. Return to text. Rudwick, ref. 14, p. 263. Return to text. Rudwick, ref. 14, p. 274. Return to text. Rudwick, ref. 14, pp. 276–277. Return to text. Data from www.volcano.si.edu/world/volcano.cfm, vulcan.wr.usgs.gov/Volcanoes/Alaska, pubs.usgs.gov/gip/msh/comparisons.html, en.wikipedia.org/wiki/Lake_Toba, and en.wikipedia.org/wiki/Timetable_of_major_worldwide_volcanic_eruptions, all as at January 2011. Return to text. Kilauea—Perhaps the world’s most active volcano, USGS, 7 May 2009; hvo.wr.usgs.gov/kilauea/. Return to text. For more information, see volcanoes.usgs.gov. Return to text. See Supersized eruptions are all the rage! USGS, 28 April 2005; hvo.wr.usgs.gov/volcanowatch/2005/05_04_28.html. Return to text. Seach, J., The largest volcano eruptions; www.volcanolive.com/large.html, as at 20 December 2011. Return to text. Description: Yellowstone Caldera, Wyoming, 25 June 2009; vulcan.wr.usgs.gov/Volcanoes/Yellowstone/description_yellowstone.html, as at 20 December 2011). Return to text. Courtillot, V.E. and Renne, P.R., On the ages of flood basalt events, Geoscience 335:113–140, 2003. Return to text. Coffin, M.F. and Eldholm, O., Large igneous provinces: crustal structure, dimensions, and external consequences, Reviews of Geophysics 32(1):1–36, 1994. Return to text. Coffin and Eldholm, ref. 54, their table 3. Return to text. Tarduno, J.A., Sliter, W.V., Kroenke, L., Leckie, M., Mayer, H., Mahoney, J.J., Musgrave, R., Storey, M. and Winterer, E.L., Rapid formation of Ontong Java Plateau by Aptian mantle plume volcanism, Science 254:399–403, 1991. Return to text. Woodmorappe, J. and Oard, M.J., Field studies in the Columbia River basalt, Northwest USA, J. 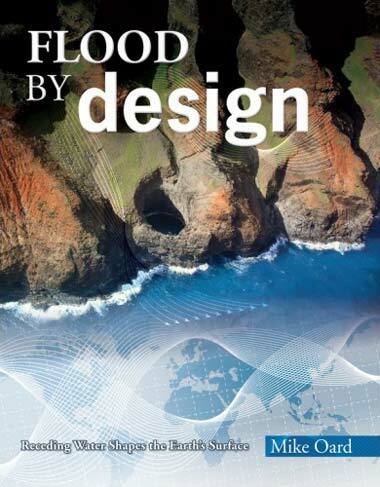 Creation 16(1):103–110, 2002 document a number of field evidences for rapid and abrupt emplacement of most of the individual flows of the Columbia River Basalts. Return to text. Reed, J.K., The North American Midcontinent Rift System: An Interpretation Within the Biblical Worldview, Creation Research Society Books. Chino Valley, AZ, 2000. Return to text. Castro, J.M and Dingwell, D.B., Rapid ascent of rhyolitic magma at Chaitén Volcano, Chile, Nature 461(8):780–784, 2009. Return to text. BSVP—Basalt Volcanism Study Project, Basaltic volcanism on the terrestrial planets, Pergamon Press, New York, 1981. Return to text. Rudwick, ref. 14, p. 121. Return to text. Klevberg, P., Bandy, R. and Oard, M.J., Do paleosols indicate long ages? in: Oard, M.J. and Reed, J.K. (Eds. 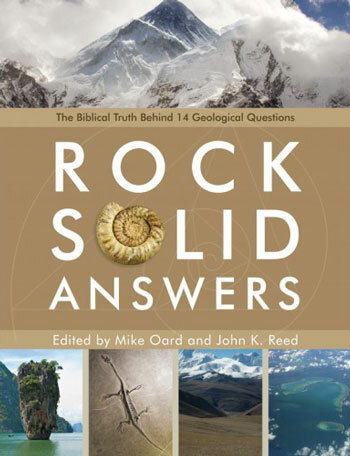 ), Rock Solid Answers, Master Books, Green Forest, AR, pp. 63–92, 2009. Return to text.